Moscow, December 26, Interfax – The Russian Foreign Ministry is demanding a resolute response to terrorist attacks on religious sites in Iraq, Syria and other countries of the region in the wake of a series of terrorist acts in Baghdad. “Attempts by extremist groups to destabilize the situation in the country and sow dissent among its different religious groups are a matter of serious concern. In our opinion, it is exceptionally important to offer a resolute response to criminal attacks staged by terrorists on churches, mosques and other spiritual places in Iraq, Syria and other countries of the region. Followers of Islam, Christianity and all the faiths that have lived side-by-side peacefully in the Middle East for centuries must be protected from attacks,” the ministry said in a statement. “Moscow resolutely condemns such inhuman crimes and extends its sincere condolences to the families of victims and wishes a speedy recovery to those injured,” it said. 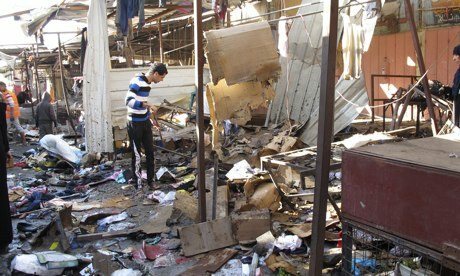 Over 20 people were killed and another 30 were injured in three bombings in Christian areas of Baghdad on Wednesday, the Russian ministry said. “The most powerful explosion occurred outside Catholic St. John the Baptist Church in the south of the capital as a Christmas service was conducted there,” it added.